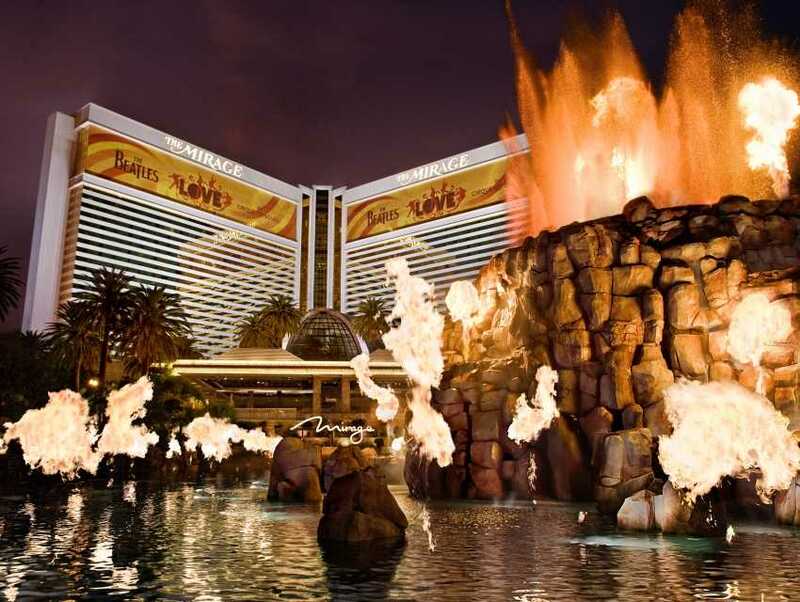 By far the most famous attraction at the Mirage Hotel is its Volcano. It's the closest it could be to a real volcano. Amidst three acres (1.2 hectares) of water, the volcano comes to life several times every night. It shoots up 54 feet (16.4 meters), spraying smoke and fire. The water below is transformed into streams of "molten lava" as tribal music rounds out the whole experience. Admission is free of charge.